Apple iPhone is the spectacular device in mobile category. There are many iPhone models that are available like 3G and 4G. Recently Apple has launched its new model of iPhone named iPhone 4S and new operating system named iOS 5. Both for iPhone 4 and iOS 5 Jailbreak is available.So here you will find how to jailbreak your iphone 4s? In this post you can find different ways to Jailbreak your iPhone or any iDevice. Followings are the different way to jailbreak a factory locked iPhone. Jailbreaking community has developed few ways to use carrier locked iPhone 4 with other provider without using general Ultrasnow method. Now the real fun begins. Here you will find two different ways to jailbreak your iPhone 4 known till now. You can find details process to unlock your iPhone 4. You can also find merits and demerits for all these three processes. 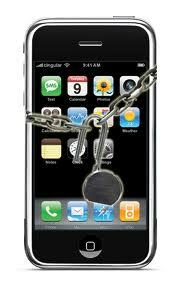 Ultrasnow unlock is a software based unlock for iPhone 4. For this you require jailbreaking your device using available jailbreak tools [ JailbreakMe - Greenpoison - Limera1n - Redsnow - Snowbreez - Pwnage tool ] . Step 1 : Sync with iTunes. Step 2 : Save SHSH blobs via Tinyumbrella. Step 3 : Put your device in DFU mode. Step 4 : Jailbreak with available jailbreak too. Step 5 : Cydia is now intalled on your device. Step 6 : Add Respositories on Cydia. Step 7 : Search and install Ultrasnow Unlock. Merits : Free to download and install. In IMEI unlock method provider will take your IMEI number which is unique to every device. This IMEI number will be put on Apple's white list so whenever you sync your device to iTunes it will be unlocked. IMEI unlock is permanent unlock for your device. It is now available online. According to your provider your device will b unock within 24 hrs and don't need to jailbreak your device. You will be able to update new firmware without loosing your unlock. Your device will work as factory unlock device. How IMEI unlock works ? All mobile devices have unique IMEI number. Service provider will put this IMEI number of your device to Apple's white list. So whenever you sync your device to iTunes it will unlock your device permanently. If you have made this type of unlock than you don't need to worry about updating to new iOS. After the request is processed you need to connect your device with your computer and than iTunes will unlock your device officially. But you have to pay money to service providers.